Dermalogica has launched an exciting array of Christmas gift sets which includes a full sized Dermalogica product and two free deluxe travel sized gifts. The Dermalogica Clean and Smooth Gift Pack (A$53) is the perfect gift for someone who would love a squeaky clean cleansing routine for super smooth and clean skin! The Clean and Smooth Gift Pack includes a full size Special Cleansing Gel (250ml) and bonus PreCleanse (30ml) and Skin Prep Scrub (22ml). Dermalogica Special Cleansing Gel is suitable for all skin types and the formula is actually soap-free! Special Cleansing Gel is formulated using an ingredient called Quillaja Saponaria which is a naturally-foaming extract that helps to remove impurities, dirt and grime on the skin surface. Balm mint and Lavender are also core ingredients which cools and calms the skin. The scent of the Special Cleansing Gel is absolutely divine as it provides a refreshing and reviving feel to my skin without making my skin feel tight! Dermalogica PreCleanse is a lightweight cleasnsing oil which should be used prior to your usual cleanser. The purpose of using the PreCleanse is to give your skin a 'double cleanse' to ensure effective removal of impurities trapped deep into the skin. PreCleanse is suitable for all skin types (especially great for oily skin types) and contains nourishing Olive, Apricot and Kukui Nut oils, to help lift away oil-based skincare/makeup on the skin, such as sunscreen and foundation. After massaging a few drops of PreCleanse onto the skin, rinse your skin with warm water and a milky emulsion forms to aid the removal of impurities from the skin. My skin feels slightly slippery, however, this slippery feel disappears after using the Special Cleansing Gel. Dermalogica Skin Prep Scrub is a skin polishing scrub which contains natural grains that are gentle on sensitive skin. The grains consist of finely granulated Corn Cob to polish the skin surface and slough away dead skin-cells while leaving the skin feel supple and smooth. The Skin Prep Scrub is not at all abrasive, so can be used 2 or 3 times per week. Dermalogica products are dermatologically tested and do not contain artificial fragrances and colours. 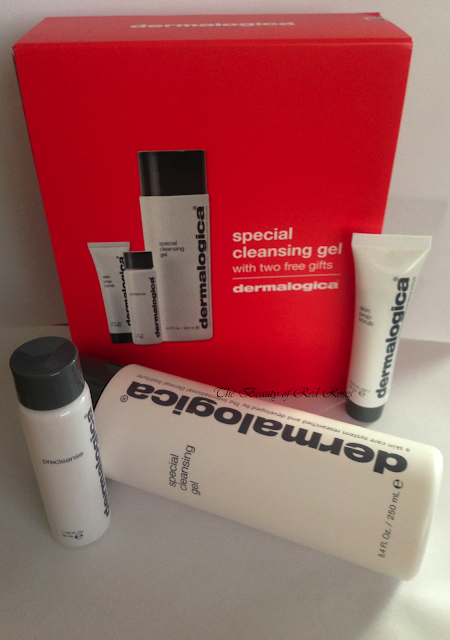 What do you think of Dermalogica's range of Christmas gift sets this year? Products were provided for consideration only. This review is 100% based on my own thoughts and opinions. I am not affiliated with Dermalogica and did not receive remuneration to post this product review.